[S117] The Times Newspaper, Friday, Mar 29, 1889; pg. 1; Issue 32659. [S586] John] Beatson, Family of Beatson, p. 25. [S470] Scotland, Old Parish Registers, 685/01 0500 0117. Capt. Henry Dundas Beatson R.N. Children of Capt. Henry Dundas Beatson R.N. [S470] Scotland, Old Parish Registers, 692/02 0060 0671. [S470] Scotland, Old Parish Registers, 564/03 0040 0323. [S205] Newspaper, Hampshire Telegraph and Sussex Chronicle etc (Portsmouth, England), Saturday, September 15, 1849. [S205] Newspaper, The Morning Chronicle (London, England), Tuesday, August 3, 1852;. [S205] Newspaper, The Scotsman, 28th May 1875, page 4. [S117] The Times Newspaper, Jan 23, 1908. [S470] Scotland, Old Parish Registers, 692/02 0060 0518. [S205] Newspaper, Glasgow Herald (Glasgow, Scotland), Thursday, November 1, 1888. [S205] Newspaper, Times of India, 2 November 1888. [S191] Donald Fraser, Autobiography, p. 74. He entered the service of the Honourable East India Company in the year 1843, and was posted to the Bengal Presidency. He served with the army of the Sutlej in 1845, taking part in the defence of Ferozepore and the battle of Ferozeshah, for which he obtained a medal and clasp. He also served in the Punjab campaign, being present at various actions, and was decorated with a second medal at its close. During the Mutiny he held the responsible appointment of Chief Surgeon of the Allahabad Field Hospital, in which he rendered most efficient service. He subsequently filled the office of Garrison Surgeon at Allahabad, and was appointed Medical Storekeeper at Umballa. On his promotions to the rank of Deputy-Surgeon-General he was posted to the Meerut Circle, in which he completed the usual tour of service in that capacity. In 1875 he was selected to succeed Surgeon-General Sir John Campbell Brown, K.C.B., as head of the Bengal Medical Service, and, after five years' tenure of that post, he retired in 1880, having completed a service of thirty-seven years. Dr. Beatson was a man of strong physique, distinguished appearance, and great ability. He possessed a high sense of honour and duty, and was endowed with great energy, strong clear, rapid judgment, much force of character, and firm, accurate grasp of detail. He was a sound physician and surgeon, and a most competent administrator. He was gifted with a keen perception and very retentive memory. His rule of men was strict, but just and generous, and his influence throughout the service was salutary and stimulating. During his term of office he rendered valuable aid to the Government of India in arranging for medical relief measures in connection with the Madras Famine of 1877-78. Although he did not devote himself to research or contribute to medical literature, he kept himself fully au courant with medical science, and was always ready to encourage and commend good work and promote medical and sanitary progress. His death, which was somewhat sudden and unexpected, has been the occasion of deep regret to a large circle of friends and acquaintances, to whom he endeared himself by the genuineness and warmth of his friendship and the kindliness of his disposition. The British Medical Journal, 13 August 1898, pp. 451-52. [S105] [Bell], Bell Family Papers, Birthday Book. [S114] D.G. Crawford, Roll of the IMS, B1438. [S117] The Times Newspaper, Monday, Aug 01, 1898; pg. 9; Issue 35583. [S205] Newspaper, Glasgow Herald (Glasgow, Scotland), Thursday, February 14, 1884. Robin Montrésor Beatson's birth was registered in the quarter ending December 1926 in the Uxbridge, Middlesex registration district. He was the son of Major Claude Gordon Beatson R.A.F. and Lilias Mary Ellis.1 Robin Montrésor Beatson died on 22 June 2006 in Hartfield, East Sussex, at the age of 79. [S117] The Times Newspaper, Oct 21, 1942. Roger Stewart Montrésor Beatson was born on 20 July 1890.1,2 He was the son of Walter William Gordon Beatson and Constance Mary Montrésor.1 Roger Stewart Montrésor Beatson was killed on 2 July 1916 in France at the age of 25 leading his men into action near Fricourt as a lieutenant in 6th Battalion King's Own Yorkshire Light Infantry attached to the 10th Battalion; though the family notice shows him being of the 4th Battalion KOYLI.1,3 He was buried in Gordon Dump Cemetery, Ovillers-la-Boisselle.1 It would appear that he worked for the Canadian Bank of Commerce, since his death is noted in their records. [S165] Ruvigny, The Plantagenet Roll of the Blood Royal. Clarence Volume, Mortimer-Percy Volume p. 620. [S117] The Times Newspaper, Jul 02, 1917. Maj. Gen. Roger Stewart Beatson R.E. He entered the Royal Military Academy Woolwich, early in 1828, and was appointed Second Lieutenant in the Royal Engineers on 29 May 1832. 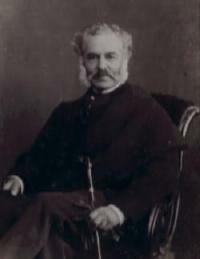 He served in Malta from 1835 to 1839. In the latter year, while still a young Subaltern, he received from the Admiralty the responsible appointment of Director of Engineering and Architectural Works in the Dockyard and other naval establishments at Portsmouth, which he held for six years being then transferred to a similar appointment at Woolwich till its abolition in 1848. He then served in Canada till 1854; and for having rescued at great personal risk, during the destruction by fire of the Parliament House at Quebec, in February of that year, valuable public records, the rescue of which had been unsuccessfully attempted by other gentlemen he received the thanks of the Canadian Legislature. Later in the same year he was appointed Superintending-Engineer of the Ordnance Manufacturing Departments at Woolwich. On 9 November 1855 his promotion from Captain to Lieutenant Colonel was gazetted. He served in New Zealand from 1866 to 1869, during the latter half of that period commanding her Majesty's Forces in the Colony, on return from which he retired on full pay and was promoted to the honourary rank of Major-General. [S205] Newspaper, The Morning Post (London, England), Friday, September 04, 1896. [S205] Newspaper, The Champion and Weekly Herald (London, England), Sunday, January 29, 1837. [S205] Newspaper, The Standard (London, England), Friday, September 04, 1896. [S117] The Times Newspaper, Nov 24, 1914. [S232] Ancestry.com, London Metropolitan Archives, Saint James, Paddington, Register of marriages, P87/JS, Item 046. [S117] The Times Newspaper, Friday, Nov 03, 1922. [S89] Family Search, Bedford Parish Records. [S117] The Times Newspaper, May 12, 1897. [S117] The Times Newspaper, Jan 18, 1919. Walter William Gordon Beatson was born on 5 August 1897 in London.1 He was the son of Walter William Gordon Beatson and Constance Mary Montrésor. Walter William Gordon Beatson died on 18 July 1916 on Heath Aerodrome, Hounslow, at the age of 18. He is buried in Bedford Cemetery E/4. 84. The manoevers of the aeroplanes stationed the Heath Aerodrome have for a considerable period since the country went to war proved to the public of Hounslow and district a source of much pleasure. Although their presence in the air has become much of a common-place spectacle, the interest taken by young and old in the wonderful machines continues to be as deep as ever it was. Many people who happened to be in the vicinity of the Heath shortly after six o'clock on Tuesday evening were horrified at the sight of one of the aeroplanes tumbling down into a field adjoining the Cemetery in Hanworth road, and on reaching the ground bursting into flames, which soon claimed as their victims two gallant officers of the Royal Flying Corps. Captain Charles D'Arcy Wentworth Reeve, aged 21 years, and Sec. Lieut. Walter William Gordon Beatson, aged 18. The circumstances surrounding the fatality were related before Mr Reginald Kemp. J.P. (the Coroner for West Middlesex), and a. jury of which Mr. Smith was foreman, at the Churchroom, Montague-road, on Thursday morning. Being unable to attend on account of military duties, Capt. Reeve, a brother of the deceased captain, wrote stating that he had identified his brother, and Sec.. Lt. Beatson was identified by Major H Bradley, R.F.C. Continuing, the Major said the Lieutenant only came to Hounslow the day before the accident, but he had flown before. Captain Reeve was an expert flier, and one of the best in the Corps. He did not witness the occurrence, as he had left the Aerodrome just before, but it was reported to him next morning, and he had held a court of inquiry. What happened was that Capt. Reeve, who was the pilot and instructing Lt. Beatson, banked too steeply and the machine side-slipped. The Coroner: I suppose it was what we should call an error of judgment? These things do happen, from time to time with the most expert - Witness: It was over-confidence in this case. In answer to questions, Major Bradley said the machine was only 200 feet from the ground, and Captain Reeve had therefore no time to recover. It crashed to the ground and the officers must have been killed instantaneously by the shock, being burnt afterwards, through the petrol tank bursting and the fluid igniting. Lt. Beatson had his back broken. The machine was perfectly all right before the accident. The Coroner: In your judgment was it absolutely unavoidable? You know these things are bound to happen from time to time. - Witness: It ought not to have happened. It was over-confidence. Air-Mechanic Christopher Napper also stated that Capt. Reeve was an expert flier, but that he did not know Lt. Beatson, who went up as a passenger. The Coroner: Any inexperienced person can do that. I suppose? - Witness: Yes. He had nothing to do with the controls or anything in that way? - No. Witness, continuing, said he had had eleven months experience. He tested the machine before the officers flew it and it was in perfect condition. He stood and watched it ascend and after it had been up about five minutes, saw it side-slip, crash to the ground, and burst into flames. It was too low for the pilot to have tried to right it. There was just a slight wind, but nothing to account for the accident. The officers were strapped in. He should think they were dead before the machine caught fire. An ambulance was sent across to them instantly, and they were taken to hospital. Cpl. Wm. Maple, an engine fitter, of the Royal Flying Corps. deposed to the machine being right in every way when the officers ascended in it, at 6.15 on Tuesday evening. It rose from the Heath in good form, but after two or three turns pitched to the ground and burst into flames. Dr. Wolf stated that Capt. Reeve was brought into the Military Hospital at 6.30 and was quite dead. It was impossible to say absolutely what the cause of death was, but he should think it was from shock caused by serious burns. If the fire had not broken out the captain might not have died. Lt. Beatson was brought in an hour later, as he believed some difficulty was experienced in getting his body out of the wreckage. With reference to this Major Bradley, replying to the Coroner, said Capt. Reeve was underneath one of the wings, but Lt. Beatson was below part of the engine. Dr Wolf, proceeding, stated that in this case also the cause of death was shock from burns. It was impossible to say whether the young fellow’s back was broken, as he was stiff when brought into the hospital. This position did not suggest that his back had been broken. The Coroner, in summing up, stated that he did not think anybody was to blame, and it seemed a case of the pilot, being over-zealous. One knew how extraordinarily plucky the flying officers were, and it might be that sometimes they got a little bit careless. The jury decided that the officers died of shock from burns caused accidentally by the aeroplane side-slipping to the ground and catching fire. [S205] Newspaper, The Middlesex Chronicle, 22 July 1916. [S94] 1891 British Census, St. Mary Extra, Hampshire. [S89] Family Search, Isle of Man Births and Baptisms.